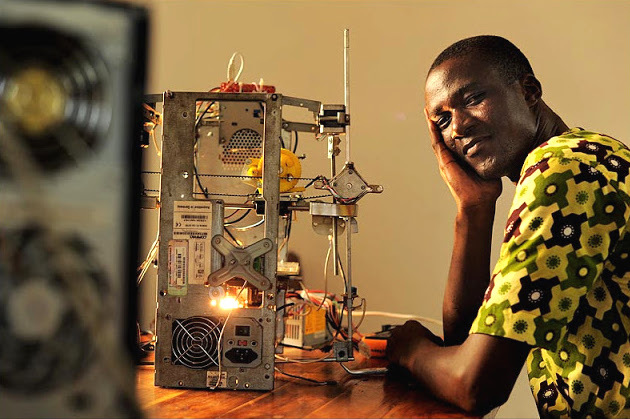 Kodjo Afate Gnikou, a resourceful inventor from Togo in West Africa, has made a $100 3D printer which he constructed from parts he scrounged from broken scanners, computers, printers and other e-waste. 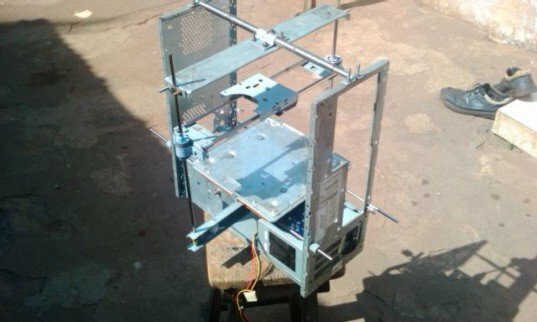 The fully functional DIY printer cost a fraction of those currently on the market, and saves environmentally damaging waste from reaching landfill sites. how is the positioning done with this..? Such actions must be promoted… Bravo! Bill Gates, have you watched ? The massive amount of the world's resources are in Africa, and this just proves that given the opportunity it's people should be benefiting directly from them. Imagine what Gnikou could be doing with the right support. Great stuff, just love the innovation. Wyatt, why does it matter that he ie offering it as a reward for $600 when it cost $100? How much do you think your new car or new house coats to make? That $5 sub? The $4 coffee? Why is he not allowed to make a profit off his time, but other people can? I bet if you look at how many hours was spent building this, the time it took to scrounge up the parts and test, isn't much of a profit. Can anyone find any videos of this thing working? It also says he made it for $100, but they were offering it as a reward on their crowdfunding page for $600. STAND UP SLOW CLAP ALL THE WAY!!!!!! wow give that man a great job now!